Two kilometres outside the city there is a hill, a rich archaeological location that corresponds to several superposed cities, from Neolithic times to Visigothic times. 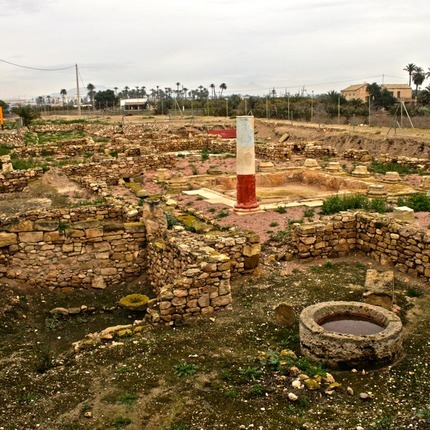 Five millennia of history lie in an area of ten hectares in which the Dama de Elche was found. Visit: With ticket. Check prices and schedules in The Alcudia University Foundation for Archaeological Research.